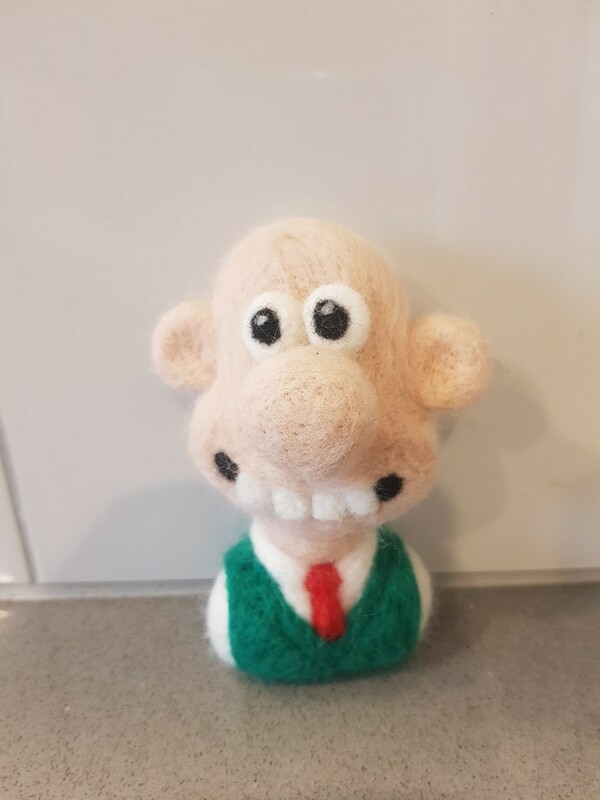 This bust of Wallace was created and hand crafted by me. 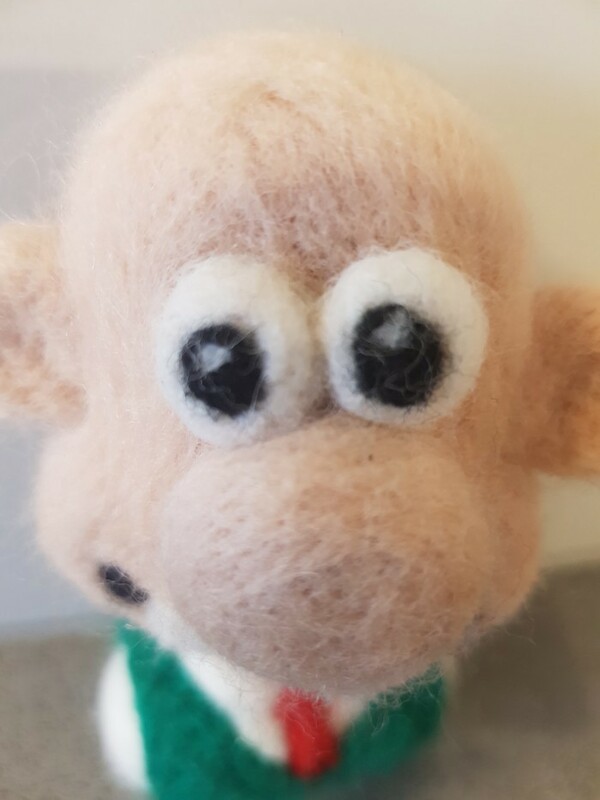 As always I enjoyed making him and put in several hours to get him just right. 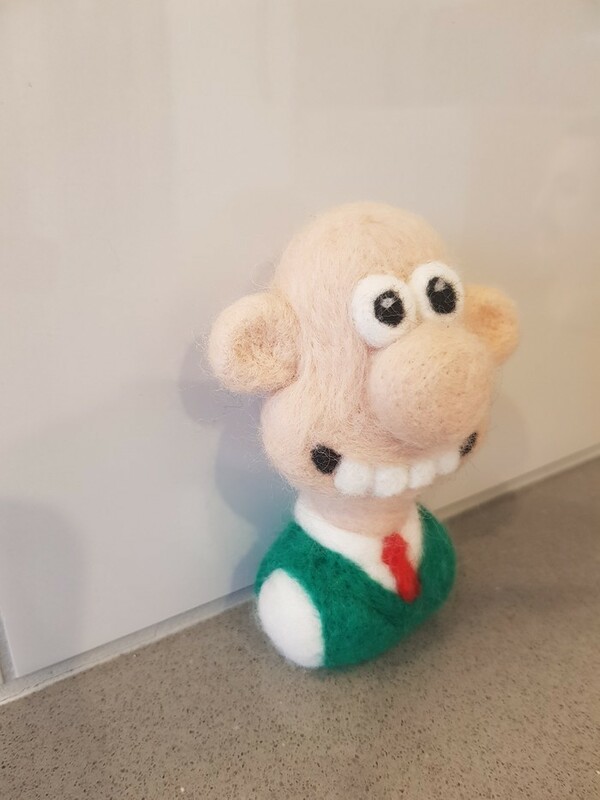 I will be making his pal Gromit very soon along with the Farmer from Shaun the Sheep. I can make several more with different facial expressions and no two are the same and OOAK. All of my pieces are crafted free hand from pictures I have found in books and on the internet. 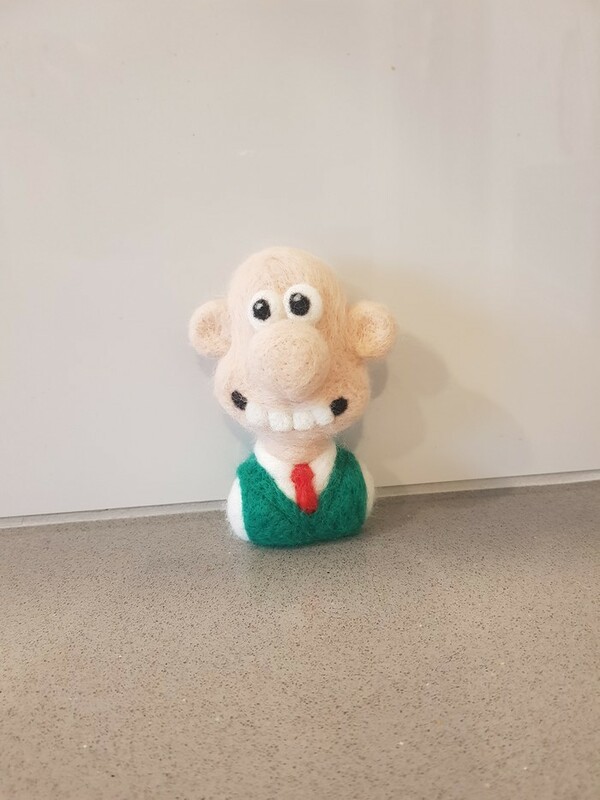 He stands 10cm tall and would look great on any shelf or mantel piece. Please provide payment within 2 business days of purchase.